Sam DeBianchi is the CEO of SamSpeaks! Coaching. Sam employs a refreshing and straight forward coaching approach that mixes teaching the top tools of success, along business education from the leading real estate professionals. 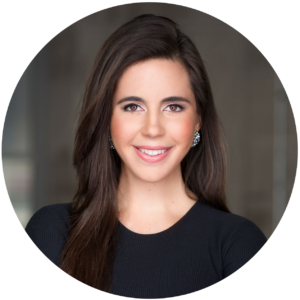 Sam founded her real estate company, DeBianchi Real Estate, in July 2011. Heavily leveraging social media, internet marketing and guerrilla marketing, she quickly become one of the top agents in the hot South Florida market. Sam has been recognized as an industry expert by CNBC, CNBC World, Fox News, Fox Business, Forbes, Huffington Post, Bloomberg, Realtor.com, Entrepreneur, Inman News, and many more. As a sought after real estate and inspirational speaker and educator, Sam started SamSpeaks! Coaching in July 2016 with the goal of coaching others to be their best self by breaking mental barriers, grow their brand to its fullest potential, and become as financially successful as possible.